Our PhD count rises at Alpha, and this time in our Dallas office! 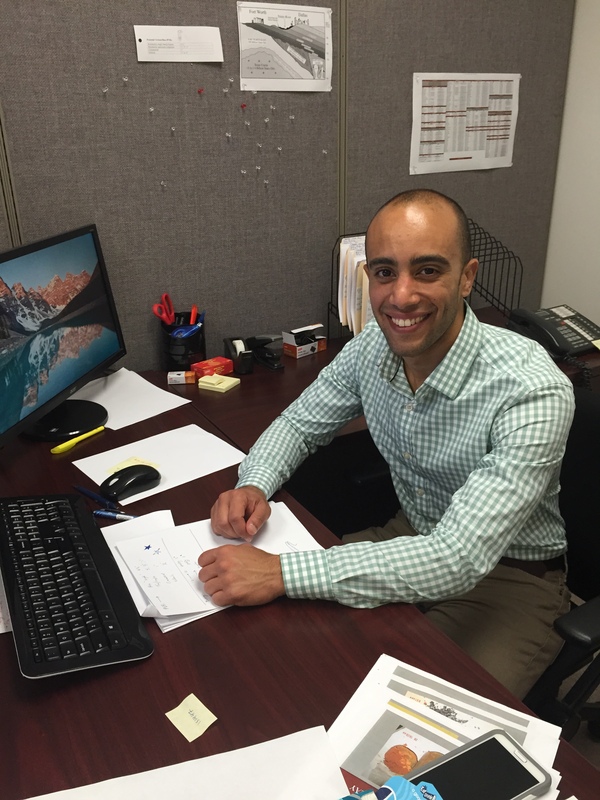 Yasser Abdelhamid, PhD is the newest member of our geotech team and is on the track to earning his Texas Professional Engineering License. Despite his current Texas stance, Yasser hasn’t always been a Dallas resident. Before earning his PhD in Civil Engineering at SMU, Yasser studied engineering at Cairo University in Giza, Egypt! Welcome to the team Yasser! 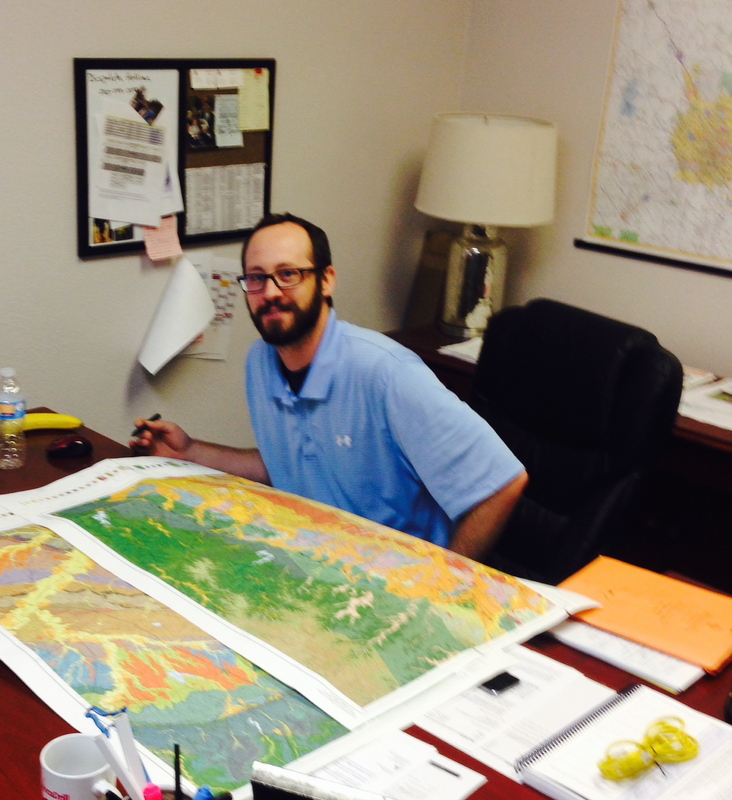 Paul Muller doesn’t normally hover over a pile of maps, but when a presentation to a potential client is in the making, they can come in handy! 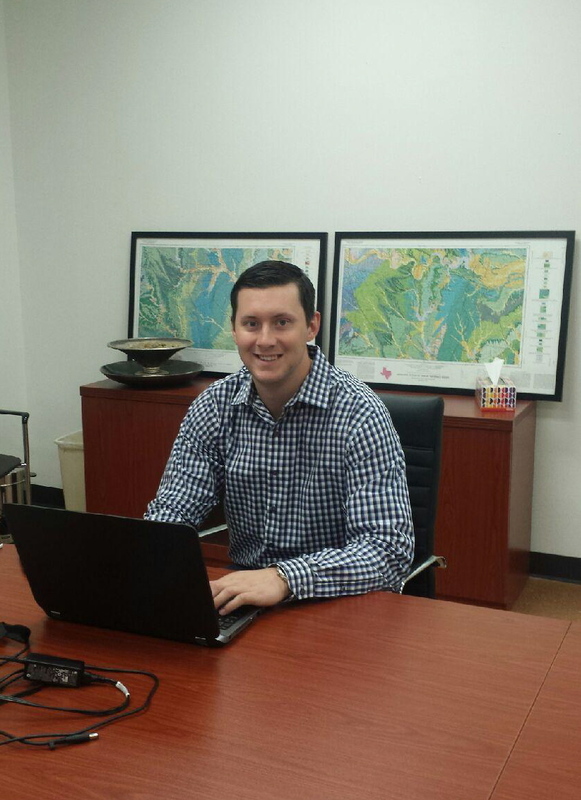 We snapped this picture of Paul preparing for a sales meeting in New Braunfels, TX – he looks very prepared to us! We have another Aggie on our hands! And this time on our Business Development team in Houston. Sean Bowman earned a Communication degree from Texas A&M but has since moved south of Aggie Land and made Houston and Alpha his new home. And we are glad of that! Welcome to the A-team Sean! Here at Alpha, we live and breathe engineering and we like to pass that passion to future engineering students. 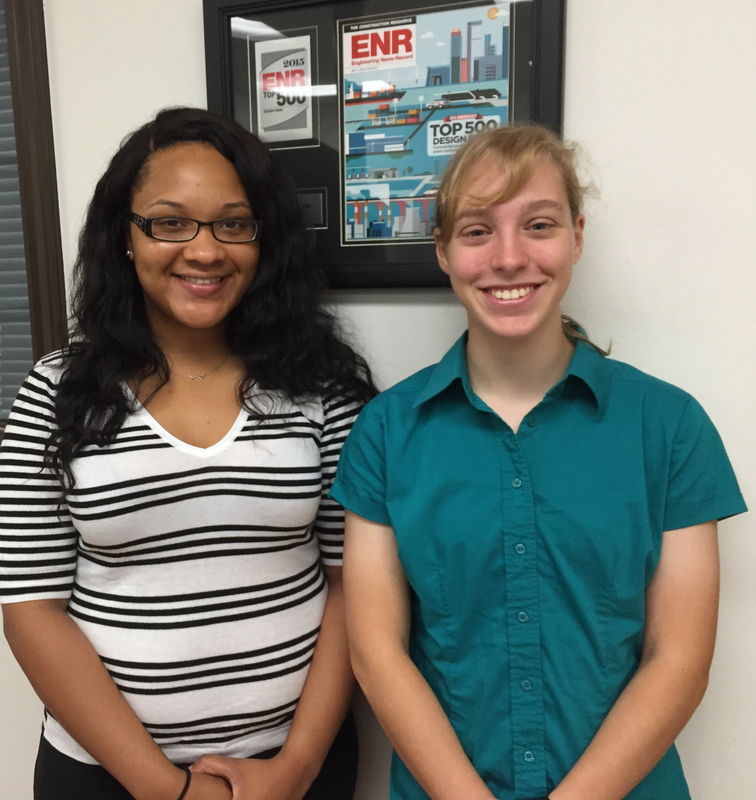 Our engineering interns are mentored by Blain Lehman and supported by the engineering team. Gracie and Lindsey are under our wings this summer in the Dallas geotech department and, as requested, their picture was taken in the a.m. BEFORE the dust hits in the geotech lab! Gracie Cesaire is a civil engineering student at Florida A&M University in Tallahassee. When she’s not studying the mechanics of solids (yes, that’s a class) she is attending one of the many clubs she’s a member of, including being President of Truth Hall Government. Gracie hails from New Jersey, but is in Dallas for the summer and was recruited by family friend, and our Alpha President, Brian Powell. Lindsey Luetge is a student at Texas A&M in College Station studying bioenvironmental sciences and is a member of the Corps of Cadets. Lindsey is from Frisco, TX and was recruited by Tony Janish to intern at Alpha for the summer. Upon graduation, she wants to “work in a white lab coat” (her words!). But for now, she wears Aggie maroon! Do you know any promising engineering students looking for a great opportunity for in-depth, hands-on experience in Dallas, Fort Worth, San Antonio, or Houston? Tell them to contact Jeff Wilt. There’s a reason that “Texas-Sized” is an accepted measurement around the states. Texas is giant – El Paso to Texarkana is a whopping 800 mile stretch. With that being said, it’s almost impossible to know all those hidden Texas gems, even for seasoned Texas residents. 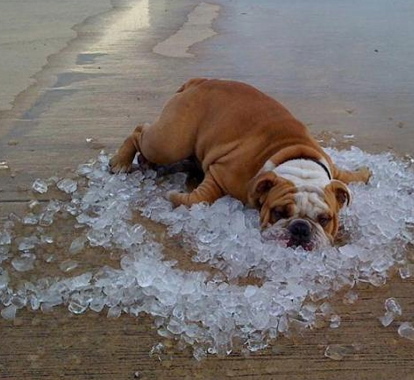 So here’s a Texas-Sized list of summer groovin’ all over the Lone Star State that will keep you cool this summer. Click here for the details.